The relationship between salespeople and their CRM is love-hate. 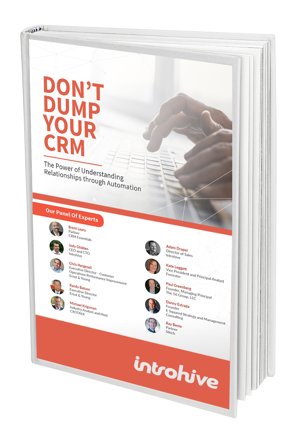 A whopping 70% of professionals (not just sales) are spending at least 5+ hours a week manually entering data into CRM and 60% are spending another four hours a week deciphering that data. Extrapolate that over a year, and the hours result in a sizable cost to the business and more than a months worth of time consumed by CRM data-entry and data-analysis activities alone. Download the eBook today for expert advice and actionable insights!